If you've read my previous posts about this newbie's experience at BlogHer '12, you may be asking yourself what my final impressions of the whole she-bang were. What were the highs? What were the lows? Would I want to go again? Well, I have to say unequivocally that the highs for me were talking and hanging out with the other fabulous bloggers I met while attending the private parties thrown by some of the sponsors I've previously worked with. I've got so many new Facebook friends and contacts from these events that going to BlogHer was completely worthwhile for just this level of face-to-face networking. I was even lucky enough to meet several Houston-area bloggers who have turned me on to the local blogging scene, which I didn't even know existed before BlogHer. 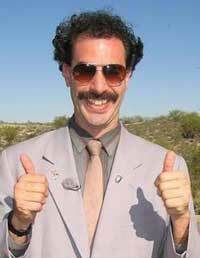 Also, it was great to meet up with many of the sponsors I've worked with over the last 2 years and finally put a face and a personality with the name. I feel like I already have a better working relationship with these people and companies just from the face time I received at BlogHer. I've been lucky enough to have already received several review and ambassador opportunities from the contacts made at BlogHer '12 too. This really surprised me since it hasn't even been a week since the event ended. I have a large stack of brochures, business cards and pamphlets to go through and once I catch up a bit on my own blog, I plan on reaching out to these sponsors to see if they are interested in partnering with me. Now for the lows... I don't typically like to be negative on my site for I feel there's enough of that in the world to spare, but if I'm giving my true feelings about BlogHer, I'll have to divulge some of the things which I didn't care for or just typically annoyed me. First, I must say that I was rather surprised at how ineffectual I found the classes to be. They are perfect for a beginning blogger, but I didn't find them very useful at all and was quite disappointed by that. Next, I was completely annoyed by how buried in technology every blogger seemed to be. This event could have been WAY MORE social and effective for all if everyone would have just PUT THE SMARTPHONE OR IPAD DOWN for a minute! I know we're all gals with technology on the brain, but personally, I found it to be quite annoying that to have a conversation with most of the people I came across, it had to be done between tweets and shots they were sending out on Instagram. I thought the whole point of BlogHer was to meet others who did what we did and to learn from each other, but instead, technology seemed to create a huge barrier between those of us actually at the conference with each other. Finally, I was quite shocked and dismayed at how snarky a lot of bloggers were about the "swag" that was being handed out at the event. I won't go in to details about this, for frankly I was ashamed at how lame a lot of people acted about the most insignificant things, but suffice it to say that when the word FREE gets thrown around, greed can turn people ugly. 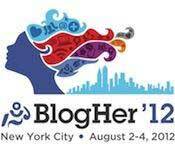 So, will I go to BlogHer '13? Honestly, I'm not sure. :i don't know: Chicago is a long way from home and attending a conference like this without a full sponsorship can get quite expensive. At this point, I'm leaning to not going to BlogHer and instead attending a few local get-togethers and possibly Blissdom, since it will be in Dallas this year. I did have a lot of fun at BlogHer though and am very happy that I went. This convention taught me the usefulness of getting together as a large group with other people that "get it." I will definitely attend more meetings like this in the future, just maybe not on such a grand scale. What were your favorite or not-so-favorite moments from BlogHer? Disclosure: I'd also like to thank Step2 for helping me to make this trip to New York City possible and sponsoring me for BlogHer '12! What sessions did you go to? I actually thought most of mine were pretty good. I went to a lot of the writing ones and a few of the tech ones (SEO was GREAT and I usually hate that topic). I agree about the swag. That’s a weird thing (although, if you read my recap I posted yesterday, you’ll see that I decent swag experience ;)). 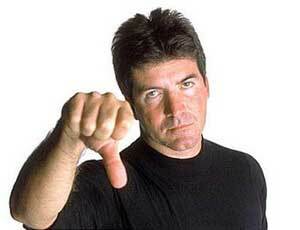 I enjoyed the same things you did, but was annoyed that some of the sessions I wanted to attend we’re full. Also, the food was lackluster. I only attended on Saturday though I heard the breakfast on Friday was really good. I’ll attend again though. Since I work full-time as a lawyer and mother full-time I don’t have as much to focus on the “business of blogging”. I did attend a good Geek Bar workshop that was really helpful. I’m so glad that you had a great time at BlogHer ’12! You’re right, some of those classes were packed to the gills. I didn’t get a chance to make one because it had reached capacity before I got there. As for the private parties and sponsorship, I was just as surprised as you! :) Being a review blogger, I had already had the relationships with the companies that invited me and was thrilled when the invitations rolled in! Thanks so much for stopping by and giving this post a read. I hope you have a wonderful weekend! Pingback: Review - Are Gluten Free Products Really Better for You? 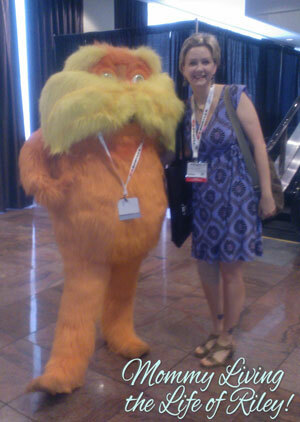 My BlogHer ’12 Chronicles: A Newbie’s Perspective ~ Volume III ~ It’s All About NYC!